Electra Venaki is a researcher and lecturer in many Academic Establishments in Athens, former chief editor of cinema section in www.in.gr, the biggest Greek portal and film editor. 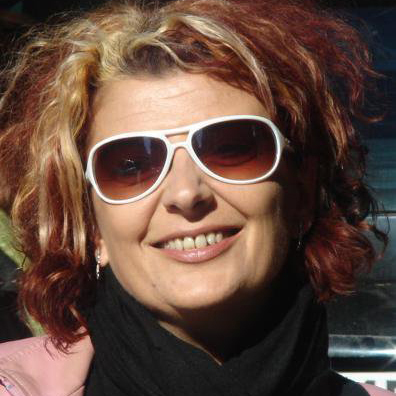 Elektra Venaki has 25 years of experience in film and digital video editing in Greece. Among her collaborations, there are many awarded films in Thessaloniki International Festival, especially the Documentary Section. She was a columnist in HiTECH, a monthly magazine in Athens and for almost ten years she has not stopped writing extended reviews on classic and modern cinema. Her writings present the new possibilities of sound diegesis and new technologies in the filming process. Her papers have been published in many collective books, official editions and renowned magazines. As passionate about new technologies and film sound theory and practice, she has participated in numerous conferences about cinema, exploring technical and aesthetic issues.